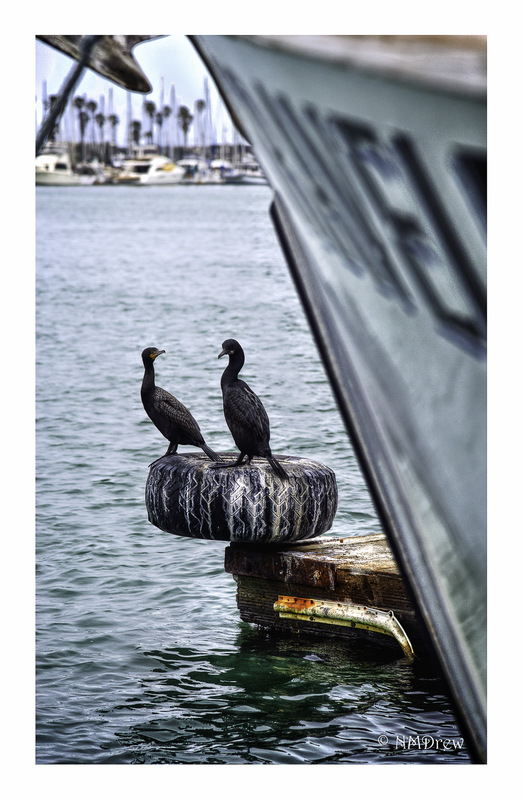 Cormorants are kind of goofy-looking birds, pests or amusing depending on your viewpoint. Obviously, they like to hang out here on the bumper! This entry was posted in Glimpses and tagged California, commercial fishing, comorants, Nikon 24-120mm f4.0 ED VR, Nikon Df, photography, Port Hueneme. Bookmark the permalink. They are so lovely close up too,man iridescent bottle green, can’t wait to go back to the Farne islands in June and see them nesting. Love these too, they look like they’re having a great natter!